With ADF BC ( Business Components ) you can fire Event Delivery Network CRUD events from ADF BC entities which can be captured and handled by the Oracle SOA Suite. In this blogpost we will use the JMS implementation of EDN plus WebLogic Store and Forward for the reliable delivery to the SOA Suite server ( this way we can bounce SOA without effecting the Web Applications ). 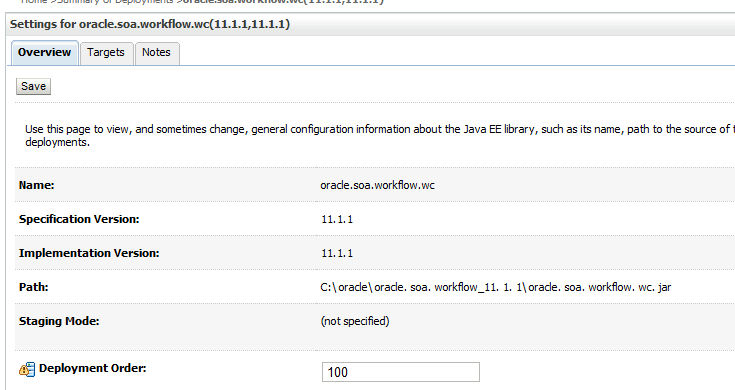 To make this possible on a different ADF WebLogic server then the SOA Suite Server, we need to do the following steps. First we need to add a WebLogic shared Library. 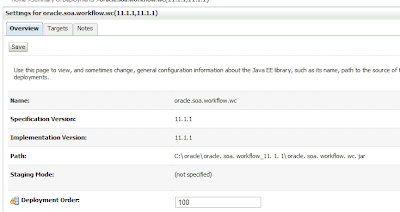 Copy the oracle.soa.fabric_11.1.1 and oracle.soa.workflow_11.1.1 folders from the SOA Suite Oracle Home ( Oracle_SOA1\soa\modules ) to your own WebLogic Middleware home. Put those two folders on the same level directory level. 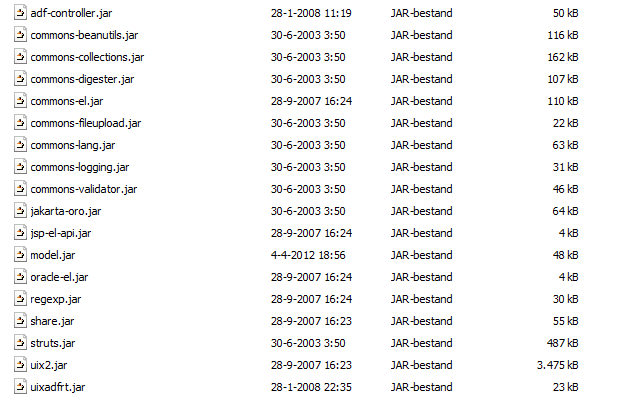 Then we can add these jars to our own WebLogic Server. Go to deployments and add the following jar oracle.soa.workflow_11.1.1\oracle.soa.workflow.wc.jar ( this contains a manifest which loads the other jars ). Target this shared library to the right WebLogic servers. Now we can create an EDN definition and add a publication to an ADF BC entity. 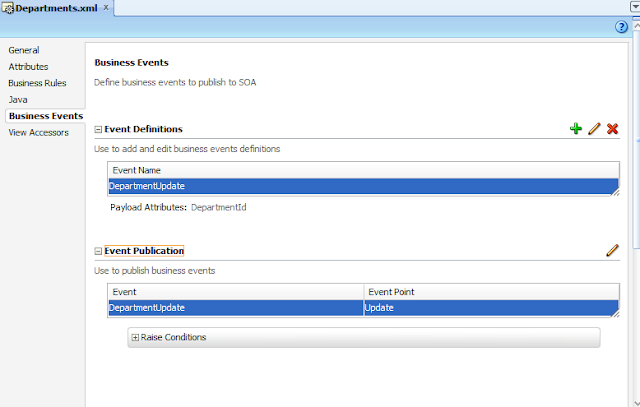 Go the Business Events part of your entity editor. We need to decide if we want to use EDN-AQ or EDN-JMS. The AQ implementation is the default EDN implementation but this requires some datasources to the soa-infra database. This can be Ok in a small server network but I don't want this dependency to this SOA Suite Server in my WebLogic Server. So I will go for the JMS implementation and create the required Queue and Connection Factories on my own WebLogic Server ( you can also do this with JMS Foreign Server ). Then those JMS message are stored locally and we will use WebLogic Store and Forward for the reliable delivery to the SOA Suite server. This way we can bounce the SOA Suite server without effecting our Web Applications. For the EDN-AQ implementation read this blogpost. To enable the EDN-JMS implementation you need to do the following steps which are described in this blogpost. We need to create the following JMS artefacts. Create a JMS Server with a file or jdbc persistence. Create a JMS Modules with a sub-deployment targeted to this JMS server. Create a JMS Connection Factory called EDNConnectionFactory with JNDI name jms/fabric/EDNConnectionFactory, disable XA and targeted this to your WebLogic server. Create a JMS Connection Factory called xaEDNConnectionFactory with JNDI name jms/fabric/xaEDNConnectionFactory, enable XA and targeted this to your WebLogic server. Create a Queue called EDNQueue with JNDI name jms/fabric/EDNQueue and use the subdeployment so its targeted to the JMS server. When we start our ADF Web application and change some data, we can take a look at the Queue. Here we will see the EDN events. Last step is to setup Store and Forward. For this we can follow this Middleware Magic blogpost. See this blogpost how to fire EDN events from Java and OSB instead of ADF BC. First you need to create a JDBC DataSource in the WebLogic Console. You need to use the oracle.jdbc.OracleDriver driver class ( don't use XA, disable global commit ) else you will get some strange oracle BLOB errors. also in the advanced options of the datasource you should de-select Wrap Data Types. By default, data type objects for Array, Blob, Clob, NClob, Ref, SQLXML, and Struct, plus ParameterMetaData and ResultSetMetaData objects are wrapped with a WebLogic wrapper. Next step is to make a shared library ( just use a war template ), For this I use an exploded folder so I can easily add and remove some jars. Folder lib with all the 10.1.2 jars which I needed. Deploy the shared library to WebLogic. This weblogic descriptor contains a reference to our just created shared library. Also set the WEB-INF/lib as preferred classloading. Zip everything to a new war file or use the exploded folder. When you use jdk1.6 or higher you can set -Djava.awt.headless=true so cabo uix does not need X-Windows or Windows desktop to generate gif images. And when you don't see the images then you should also use an exploded folder instead of a war so cabo uix has a file path to store the generated images. Or make an UIX configuration class which contains cabo paths to a folder of the weblogic server. Deploy the war or exploded folder to weblogic, test it and delete your own OC4J Container. There are different ways to interact with the Human WorkFlow services of the Oracle SOA Suite or BPM. You can use java and use it in your own application, like I did in this blogpost, use the BPM Worklist application or invoke the Human WorkFlow web services. In this blogpost I will describe how you can do that and especially how you can query the Human task with your own ordering and restrictions. 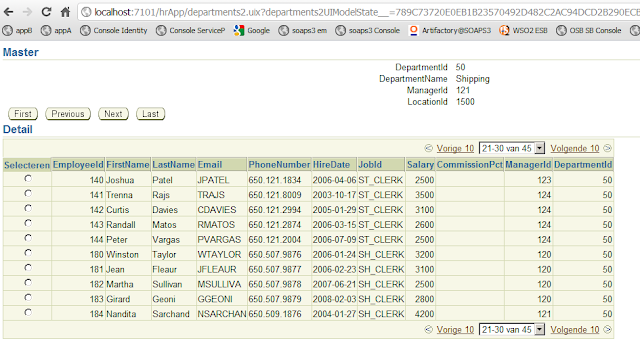 You can try these examples from soapUI or any other web service framework / tool. 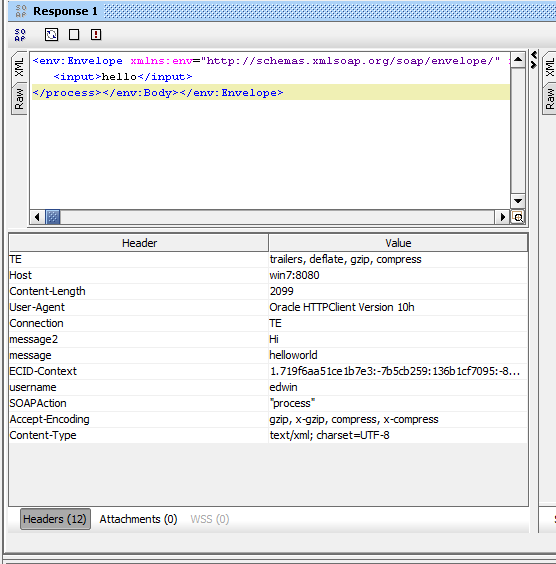 TaskQueryService, This WS can be used for task retrieval or do a query on the WorkFlow service. TaskService, This WS can be used for CRUD actions on the human tasks. Both services got two endpoints, be aware you should always use the endpoint of TaskQueryServicePort and not the SAML port unless you like to use SAML authentication. then you can use the getTaskDetailsById operation. In this case I use workflowContext for authentication. You can also do it on behalf of someone else. Sometimes you only got a Human WorkFlow number then you can use the getTaskDetailsByNumber operation. When you don't know the taskId or the task number or want to do bulk operations then you can do a search on the humantask services. The queryTasks operation is very powerful and there is not really a restriction. let's start with a simple one. In this request I want to search for a task number and also want to have some extra attributes ( blue part ) in the response together with the Comments, Attachments and the Payloads ( red part ). In the predicate part we are using the old style for defining our restriction ( clause after predicate ). 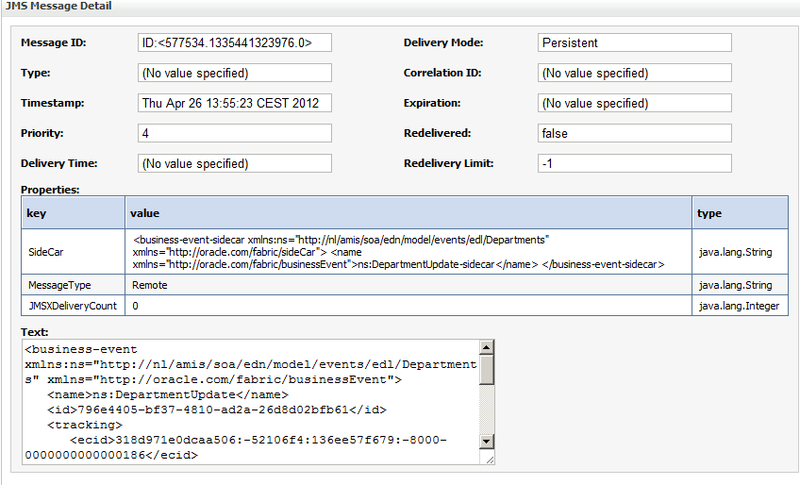 In the next queryTasks examples I will show the ones which also will be supported in the coming soa suite releases. To know all the possible displayColumn values you can decompile the TableConstants class located in the oracle.bpel.services.workflow.repos package. Or look at the WF tables in the soa-infra schema. In this query I have a predicate with two clauses which do a search on the text attributes ( tableName attribute is in almost all cases WFTask , check the soa-infa database or the TableConstants class ) and the second one has an AND operator on the first one. In the next example we will add some ordering and use a valuelist in a predicate clause ( for this we need to use the IN operator). The last query task has a more complex predicate, for this we need to use lhs , logicalOperator and rhs elements. And the rhs element contains an another lhs , logicalOperator and rhs section. Just provide the taskId and what the outcome should be.